Hello my padawan students. I am here to bring some exciting news for you Star Wars fans. Besides Disney unveiling the Disney+ news and introducing the Mandalarion show and new season of Star Wars: Clone Wars, we’re finally given news on the upcoming movie and video game. Yesterday, Disney released a trailer to the ninth episode film of the Star Wars movie and the title is revealed. The movie is called Star Wars Episode IX: The Rise of Skywalker. The movie is set to be released this upcoming Christmas of 2019. Bad news fans, it looks like we’re losing another anime title because of the license of Aniplex. It’s been announced yesterday that the anime A-Channel: The Animation is leaving Sentai Filmworks. If you haven’t got this anime and you want to buy it, get this anime on the lowest price. OUT OF PRINT NOTICE: This title is available on the store until 4/30/19 or while supplies last. Don’t miss out! Toru and Run have been best friends forever, so when Toru learns that she’s managed to get into the same high school as Run, she runs to tell her… only to find Run in a compromising position with yet another girl, Yuko. Needless to say, that makes things a bit awkward at school, with Toru fending off those who might be interested in Run while Yuko and their other girlfriend, Nagi, have to deal with Run’s own penchant for drama. 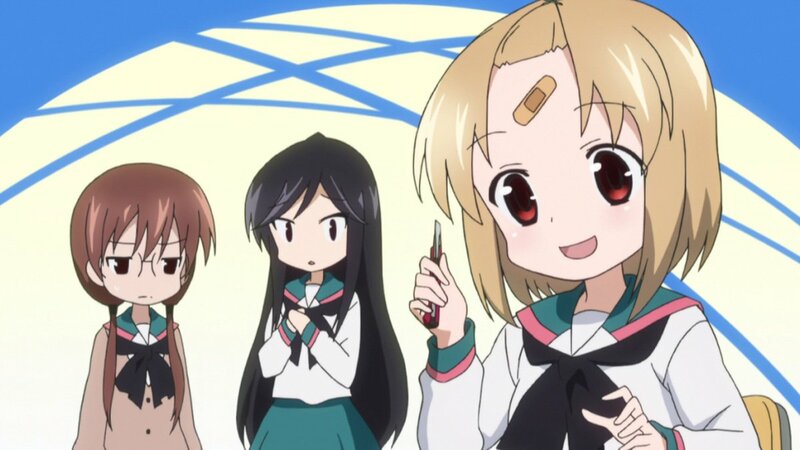 But it’s not all angst all the time, and as the school year progresses the four girls and their many classmates find time to laugh, play and figure out how to handle the unexpected problems life likes to throw at them. Like bugs in the house, accidentally giving each other horrible haircuts, freezing up at karaoke or forgetting to put your underwear on in the morning. When it comes to learning about the real world, there’s always something ‘educational’ to be found in A-CHANNEL: The Complete Collection.